I have been very down on Isadora based on his game against Cleveland. To be fair, I should point out that he played much better against Carolina. I just watched that game again and was pleasantly surprised to see him looking a whole lot better in that game. Thanks. I'll check that game out when I have time. I like Isadora, I'm not willing to bet the season on him, however. My concern about the O-line is due to seeing how Cousin performs when pressured. As a VA resident, I've caught a lot of Skins games and it's not good. He's a top 7 talent when protected and a top 25 when not. Not necessarily disagreeing with anything you said, but Case Keenum needs credit for avoiding a lot of those sacks. If Bradford had been healthy, the sack numbers would look a lot worse. I was going to mention the same thing, he definitely extended plays that looked like they were going to end. Also Berger was our top graded lineman (I believe) so it's a big hole to fill. If Berger was the best player on the OL last year, that is certainly a backhanded compliment. Berger, at his best has never been more than something between an 'adequate' to 'good' player. On the one hand, its disappointing that we don't have a particularly good OL. On the other, its less terrifying to realize that the drop off from Berger to Compton is not going from Elite to Terrible at the position. Its more like transitioning from 'above average' to 'average'. On the one hand, its disappointing that after being physically dominated in the trenches we haven't improved our OL. Onthe other hand, in relative terms our OL is not worse than most NFL teams. We'll wind up scheming to accomodate for the short comings of the OL, which is sadly what most teams do, and pathetically, something the hyper protective NFL rules allow teams to do without much risk to their QB, who would've been bludgeoned out of the game in the first quarter if they tried that type of stuff at any point in NFL history before the early 90s. This is a middle of the road OL. Not bad. Not great. Simple as that. That's why I do say that it could definitely improve but after all these years of always having giant holes all over this team, it's nice to be "worrying" about a unit that is average. Before we were like, "ok this dude is terrible and we have no depth there". It's refreshing to not have to say that anymore. The thing is, time shouldnt tell. We should have drafted a member of the Oline that was ready to play from day one. We didnt, we decided to get a CB/ST guy. It was a big mistake because we needed to at least try to make an effort to upgrade the Oline this year. Unless they are figuring this team will be good enough to limp into the playoffs. If thats the case, I hope Rick gets canned. As happy as I was with last years draft, I am disappointed in this years. I know you are just being optimistic, but Rick has neglected this Oline too damn long. Why would we go for the best possible CBs ever (even though Mac was another huge mistake on Ricks part) when your Oline is below average, and dead in the water if we get injuries. How do you know this draft is a disappointment when they haven’t even played a game yet? It’s a disappointment in your eyes but in the end, that opinion carries little weight because we haven’t seen this class play yet. If you recall, we got torched by nick Foles last year. Was that our offensive lines fault? We didn’t HAVE to draft an offensive linemen that was a day 1 starter. I also don’t understand that Spielman didn’t draft an OL until the 3rd last year and he was a stud. We take O’Neill in the 2nd but you don’t like him? We took an offensive lineman earlier than we did last year and you still aren’t pleased. Also, how is Alexander a “big mistake” on ricks part? Are you really gonna go down the road of judging a CBs talent level when they have barely played and are only two years in? IMO, Alexander has looked better than Waynes did in the first two years of their careers. I guess I don’t understand why everyone is so down on Alexander. He hasn’t been “good” but he hasn’t been bad and is only going into his 3rd year. You’re so set in your opinions and don’t give these guys the chance they deserve. Yeah they weren’t immediate impact players but a guy like Waynes completely turned it around this past year. As do a lot of nfl players when they have a few years under their belt. Let’s not forget, all we had was Newman after Rhodes and Waynes and he was 38. Alexander was the #1 CB in the draft and we landed him in the second due to his height and “lack of picks”. He allowed just 33 percent of passes into his coverage to be caught in 2015, best in the draft class. We should’ve passed on a guy like that in the 2nd? When Newman was our only other option? It was a smart pick by Spielman IMO. Great value in the 2nd round. He’s only played 2 years and barely played in his first year. Again, give the guy a shot. But to say he’s a mistake is not an accurate interpretation of him being drafted. As for Hughes, it was a BPA pick for the tenth time. And with the QBs we have to face in the nfc for years to come, the fact we got worked by nick Foles and uncertainty of who we can keep next year, I understand the pick entirely. Get past the Hernadez thing. Obviously Hughes was rated higher and they wanted to go with BPA. I don’t blame them. We have a roster to do that. I understand your concern, but at the same time, stop saying the draft class is disappointing when not one of us have ever seen any of them play an nfl game. It gets old. And I figured you would’ve learned with Waynes not to judge a player too quickly but I guess not. Last edited by Pondering Her Percy on Sun May 27, 2018 10:33 am, edited 2 times in total. It's pretty simple. The Vikings obviously felt that they have a stronger OL than defensive backfield. Hughes is a potential game changer with the ball in his hands. They talk about 3 phases of the game. Hughes will make a significant difference in 2 of the 3! Hughes is a legitimate shut down guy. He was definitely BPA. 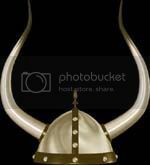 Maybe the Vikings value the other FA eligible players more than Waynes and thus need a contingency plan. To say it's a terrible draft is a personal opinion. I actually really like the draft. I see a difference maker, a potential outstanding OT, our kicker for the next decade, and a ton of potential in late round guys. Maybe a couple absolute steals. They may not all work out, but they seem to as of late! Remember that we have to cut players too. The thing is, time shouldnt tell. We should have drafted a member of the Oline that was ready to play from day one. You think the Vikings could get an OL at #30 in this last draft who was ready to play from day one? There were some solid prospects there, sure, but no guarantees, and certainly not as a day one starter, at least in my view. Other than Price and Ragnar, they had their pick of interior lineman. Literally 3 or 4 guys who very likely could have started as evidenced by how quickly they were snagged right after our pick. I know you believe that, but we'll see if it turns out on the field. I still don't think it is as simple as that - just pick the best interior OL at #30 to plug in Day One and thrive. Could it happen with someone from last year's class? Sure. Does it occasionally happen? Sure. Will it happen with the guys you apparently think it will? Maybe. I do agree with you on one point - Spielman, and to a lesser degree, Zimmer, took a chance there at #30 with the Hughes pick. 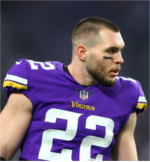 I personally think Hughes was a no-brainer at #30 given his immediate potential just as a returner, much less valuable depth in the secondary, but if the assessments of the OL by many members of this board turn out to be accurate, it could be a long season for Kirk Cousins and the Vikings offense. Then again, it could also be true that interior OL just aren't all that special in the big scheme of things and the Vikings will be just fine with the guys they have and maybe a FA vet or even a late trade for one heading into the season. Should be an interesting and fun season. I am really looking forward to it.